From cultural and student exchanges to foreign dignitary visits, Salt Lake City's relationship with other cities around the globe is built and maintained by Salt Lake City Sister Cities, part of an international organization composed of community volunteers and citizen ambassadors. But over the past five years, members of the local Sister Cities Advisory Board claim that Salt Lake City Mayor Ralph Becker's administration has been quietly excluding them from those relationships, and city staff have been claiming to represent Sister Cities to foreign governments. According to city code, Salt Lake City Sister Cities is an "advisory board"—meaning that, while it is supposed to be in charge of managing relationships with foreign cities, it does not have the power to take official action on its own. Any action taken, such as coordinating a cultural festival or arranging a visit to another sister city, must be approved by the mayor's office. Currently, the all-volunteer board manages six active relationships, partnering with Chernivtsi, Ukraine; Izhevsk, Russia; Keelung, Taiwan; Matsumoto, Japan; Torino, Italy; and Trujillo, Peru. For years, board members say, the program ran smoothly and efficiently with frequent communication between the board and then-Mayor Rocky Anderson. But they say things changed quickly after Becker's election as mayor. "It felt like the communication was just shut off," says Jinger LaGuardia, who oversaw the relationship with Torino at the time and now serves as the board's vice chair. "We have been told never to contact the mayor himself, and feel like we've been shut out of the process." "What the mayor's office is doing is illegal," claims Sister Cities Board member Nicole Gallo. "According to the city's own code, staff members cannot claim to be Sister Cities representatives, nor can they create a subcommittee to organize Sister Cities events without anyone on the Sister Cities board being involved." Mayor Ralph Becker declined to comment on this story. In July 2010, representatives from Torino, Italy, contacted the Salt Lake City Sister Cities Board to say that an invitation would be forthcoming for Salt Lake City to participate in Esperienza Italia 2011, a celebration of the 150th anniversary of Italy's unification. As part of the celebration, Torino officials invited many of its sister cities to attend, offering booth space for cities to feature their relationship with Torino. "I was so excited about it," says Gallo. "I saw Mayor Becker shortly after at an event at Westminster [College] and told him the invite for Salt Lake City as a sister city was coming, but he said he wasn't going to be able to attend, because he would be busy with his re-election campaign." As far as these board members knew, that was the end of it; they assumed the invitation had been rejected. But several months later at an event hosted by the governor, several people congratulated LaGuardia on her upcoming trip to Italy. "I was completely embarrassed," LaGuardia says. "I had no idea what they were talking about. And when I told them that, I was immediately questioned about my credentials and whether or not I was really the Torino representative for Sister Cities," she says. Email records obtained through a GRAMA request by City Weekly show that when the invitation from Torino arrived at the mayor's office, it was forwarded to Joanne Milner, education partnership coordinator for the Mayor's Office. 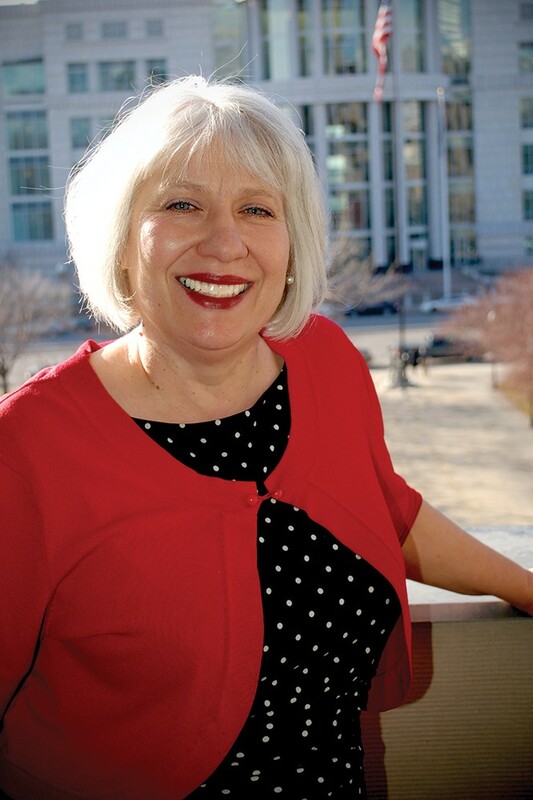 A former Salt Lake City Council member and Utah House representative, Milner says she assumed it was because she had just finished producing a documentary about Italians who immigrated to Utah. She began putting together a proposal for herself and a Salt Lake City delegation to attend the festival in Italy the following year. "We were shocked," says Gallo. "[Milner] never once reached out to the Sister Cities Board about the event, even though the invitation was addressed to the city as a Sister City." Milner disputes that, saying, "I sent them an email inviting [the Sister Cities Board] to participate, but I never heard back from them." Records received from the city through a records request did not contain any emails from Milner to the board. Gallo says once the board found out about Milner organizing the delegation and presentation, the Sister Cities Board immediately reached out to the mayor, but their requests were rebuffed. "After numerous requests for information about the delegation traveling to Italy representing the Sister City," says LaGuardia, "I was told by [the mayor's] staff that I could not address the mayor or the city council, but that they would look into it." Records revealed hundreds of emails planning the trip between Milner, the Utah Office of Tourism, Salt Lake City officials, officials at the LDS Church, the Governor's Office of Economic Development, and what was then the Salt Lake Convention & Visitors Bureau, among others. Several emails from Milner to the Torino organizers claimed that Becker would be attending the event and that Milner would henceforth be the point person for the two cities' relationship. But Becker was not planning to attend: In addition to the private conversation Gallo says she had with Becker, minutes from the Sister Cities Board meeting from fall 2010 also show city staff telling the board Becker would not attend due to his re-election bid. "Well, it was a hope that he would go," Milner told City Weekly. The presentation Milner spent months putting together revolved around FamilySearch—the genealogical arm of the LDS Church which also runs the Family History Library—under the theme of "Salt Lake City as the Genealogy Capital of the World." Three representatives of the LDS Church's FamilySearch were selected to travel with Milner and the Salt Lake City delegation and would agree to offer a genealogy presentation at the Italian festival. However, according to emails from the records request, Torino rejected the initial proposal Milner put together for being too religious in nature. Erica Albarello of Torino's International Affairs Department wrote to Milner four months before the June event, on February 14, 2011, saying, "I have to communicate to you that the FamilySearch project sponsored and strictly connected to The Church of Jesus Christ of the Latter-day Saints is actually not suitable and appropriate within the framework of the institutional celebrations." Records show Milner then sent an email to both LDS Church and Salt Lake City officials delivering the bad news, adding that she had called Albarello directly to fix the situation. "I told [Albarello] that genealogy and the Family History Library are the major attraction for visitors in our city," wrote Milner. "I told her that we, like they, separate church and state." Milner proposed the group obtain endorsement letters from Gov. Gary Herbert, then-Senate President Michael Waddoups and other city and state officials who would say that the church's presentation of a genealogy exhibit would not promote the church. Milner also sent a letter on official city letterhead to Torino, saying, "It is true that the [LDS Church] subsidizes FamilySearch due to the importance that it places on the family; however, FamilySearch is predominantly volunteer-driven." City Weekly contacted FamilySearch, which confirmed that the majority of its volunteers are missionaries for the LDS Church, and that the church does not subsidize—but rather owns and operates—FamilySearch. When asked whether her language was purposefully written in a way to imply that FamilySearch and the LDS Church are completely separate, Milner said, "Well, part of it is public. It's a public facility. Anyone can walk in, like a library of sorts. It's public, per se." In actuality, the Family History Library is a private building owned by the church, but the public is welcome to use its facilities. The appeal and the endorsement letters worked, and Salt Lake City was added back to the list of presenters, although Raffaella Scalisi, head of Torino's International Affairs Department, wrote back to Milner that "We would like to ask you to prepare a multidisciplinary presence, as other cities are doing." One week before the event, Milner notified Torino that Becker would not travel to Italy with them because of "conflicting responsibilities." Milner's 2010-11 emails to Torino had frequently referenced Becker's attendance at the event. In an email sent one month before the event, she asked Italian officials to make sure they booked lodging for Becker. Milner now says that, at the time, "it was up in the air whether or not he'd be able to make it." In an internal city email dated May 6, 2011, Milner says that, the previous week, she mentioned to the mayor that the city of Torino was offering to pay for his hotel accommodation, and that "[i]t would be a great getaway weekend in Torino." Torino's organizers had planned several events for Becker, including an official reception and tour guides. And according to email records, it appears that the delegation still took advantage of those perks. The only coverage of Salt Lake City's participation in Esperienza Italia 2011 came from the LDS Church-published Church News. The piece, published on Oct. 29, 2011, read, "Sister Milner ... noted that apostle and future Church President Lorenzo Snow had gone from Nauvoo, Ill., as a missionary to the Torino area, where he baptized some Wandensian Christians. Acquainted with some of the staff of the Church's Family History Library from a documentary she had produced, Sister Milner enlisted the help of FamilySearch officials." Not only did the Sister Cities Board not have any participation in the event, say LaGuardia and Gallo, but they also never received any report back on the event or any other updates on what was happening, despite city code requiring that to happen. Milner says she had no idea they had requested the report, but that she would be happy to give them one now. In desperation, not receiving any report back from the city, LaGuardia reached out to then-Salt Lake County Mayor Peter Corroon, asking for help in finding out what had happened, why no representatives of Sister Cities had been included in the planning or execution of the event, and why the Sister Cities Board was now being told by Torino that the Italians will only be working with Milner from now on. According to email records, Corroon contacted Leigh von der Esch, then-managing director of the Utah Office of Tourism who has since retired, to ask what happened. Von der Esch replied that her office had provided brochures for the delegation to hand out while they were in Italy, but that UOT had chosen not to travel with Milner and the FamilySearch representatives, nor did they provide any financial assistance other than the brochures. Members of the Sister Cities Board also took their concerns to Salt Lake City Councilman Charlie Luke. According to a meeting transcript, LaGuardia and Gallo asked Luke to find out what public monies had been spent on the Sister Cities event without the notification or approval by the board. Luke told them, "The financial questions you raise, I think, are very good questions. One of the things that we can do is request that [there] be an audit done of where the money is coming from, how it's being allocated. Just to make sure everything is aboveboard." However, in a recent interview, Luke said the audit never took place. "Unfortunately, everything kind of fell through the cracks during some staff transitions," he says. According to records obtained by City Weekly, Salt Lake City spent a total of $11,514.08 on the delegation's trip to Italy, including costs for flights. However, the city also received two reimbursement grants to offset the costs: one from Zions Bank for $5,000, and another from the LDS Church for $2,000, bringing down the total public cost to $4,514.08. When Becker created the position of education coordinator shortly after he was sworn in as mayor in 2008 and hired Milner, the position was described as responsible for "working on Becker's behalf to build partnerships between public education and the city, the business community, universities, colleges and nonprofit groups." Yet, to this day, some Sister Cities Board members say they still are not in contact with their counterparts in Torino because the Italian officials are working only with Milner. Former mayor Rocky Anderson is disappointed. "We worked so hard to work closely with these great volunteers to set this up and keep those Sister City programs going," Anderson says. "I'm still proud of what we were able to accomplish together. We [built] a strong program, and we were fully supportive of it. It's mortifying to see what has happened [since then]."